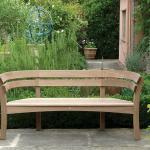 Dedicated & determined, Petrel Furniture champion homegrown timber whilst celebrating renewal, beauty & craft. 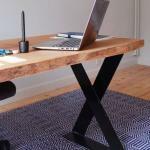 Founder Matthew Paré opted out of the city to work with wood. 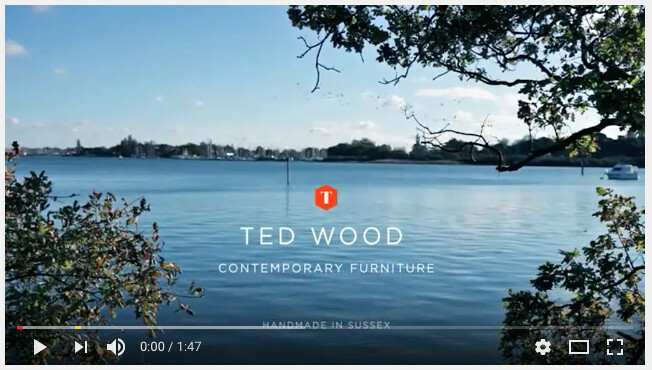 After intensive training with master furniture maker John Lloyd he opened workshops in rural East Sussex to begin his designing / making journey. Matthew takes great care to hand select every board for every project. He’s concerned with sustainable, ecologically sound timber sourcing. 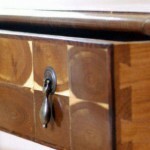 His furniture is handmade and his designs bespoke. 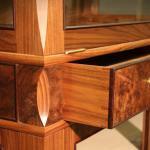 The result is elegant, sensitive fine furniture design and making. The Petrel Furniture belief in beauty, in making by hand and in traditional craft skills is impressive and admirable and there’s no doubt the results speak for themselves. 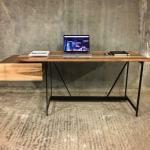 Industrial metalwork offset by natural edge timber at Sky High Design. 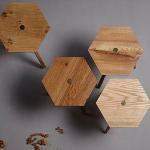 Tom Lewis started Brighton based Sky High Design in 2013 and since then has been working skills. His designs have evolved to incorporate a mix of raw materials that achieve an uncomplicated, rustic / industrial aesthetic. 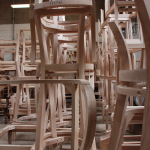 An unstoppable team of furniture makers committed to craft, sustainability and excellence . 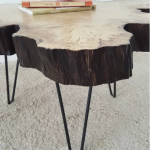 Revive Joinery founders Ed Gunter and Jon Neal invest their hand-crafted furniture with an energy and a sense of adventure drawn from their equally energetic and adventurous lives. These guys understand natural wood. 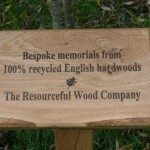 They value homegrown timbers and the principles of woodland management. 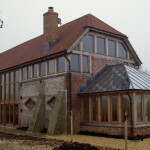 They undoubtedly have an eye for the unique and they seem to thrive on the challenges of a bespoke woodworking projects. 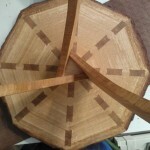 We’re thrilled to see Jon and Ed flourish and we’re glad to be part of their woodworking journey. If you have a hankering for real, handmade, solid wood furniture visit their webshop or their Lewes shop and get your hand on some real wood. If you’re a designer looking for makers for a commercial shopfitting project Revive Joinery will be pleased to offer their skills, expertise and know-how. Don’t hesitate to get in touch with them on the details below. These guys know wild & figured timber. 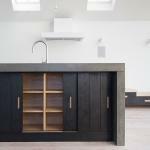 Raven River Designs are a family furniture workshop that have evolved out of an appreciation of wood and an understanding of boatbuilding where the use of resin is common to stabilise and protect wood from the elements. Clare has fused her knowledge and her passion to create beautiful bespoke furniture pieces using unique waney edge boards of homegrown timber. 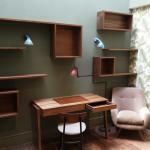 Michael Harris of MHW Design offers a range of unique, modern furniture and home accessories as well as his Build it Bespoke furniture and interior joinery service. As a fully trained furniture/cabinet maker Michael is no stranger to the design and make process and his skills encompass the traditional and also the modern, for both method and materials according to a clients needs and preferences. If you have a project in mind, whether it’s a one off chair or a whole new kitchen (or chicken coop!) then give Michael a call and find out how Michael can help. 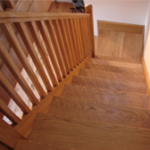 Dale & his team are traditional joiners & carpenters. 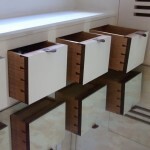 They have great knowledge and experience on bespoke woodworking projects and welcome all size projects. We’ve known Dale Sheppard Designs work on sizeable timber framing and cladding projects and then go straight to creating a fitted kitchen. That’s the beauty of real joinery skills, the joinery discipline applies to all forms of woodworking which means these guys can take every project in their stride. Dale Sheppard Designs are proud of the work they do and enjoy each project. 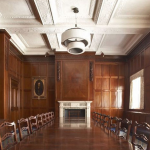 We know they take care about sourcing and selecting the wood so that they can provide the best quality joinery possible, ensuring their work is fit for purpose and built to last. If you have a project in mind and you’d like a chat about it get in touch with Dale, he’ll be glad to hear from you. 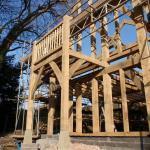 Oakland Vale Ltd are an Oak timber framing company who offer a complete, thorough and professional build service, from architectural design work through to completion. Their past projects include bespoke family homes, commercial developments and unique building extensions, garages and even swimming pool rooms. We love their sustainable approach to building technology, their attention to technical detail and their quality of work. It goes without saying that they make pretty nice oak frames too! If you’re looking for a company with genuine eco-awareness and a tried and tested expert knowledge base on modern, sustainable building methods then perhaps this is the building company for you. Oli and the team at Five Oak Projects are highly skilled, widely experienced and know how to deliver a broad range of services that compliment their core purpose, the green oak framing. New technologies and sustainable thinking are combined with this very traditional build method to create sustainable, durable, healthy buildings. 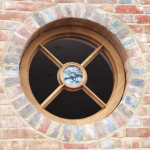 If you want to know more about this innovative Green Oak Framing company take a few minutes to read Oli’s website or get in touch on the details below. Good luck with that new project! Ottima Joinery have been a customer of ours for at least 15 years and have been making high quality furniture and joinery for much, much longer. 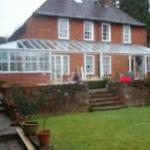 They are is driven by excellence and craftsmanship and are the consummate professionals at work. Located in the heart of the Sussex Downs, Peter & Gil West pride themselves on being a family firm that has been working with wood since 1809, employing traditional time-honoured methods & the finest materials. 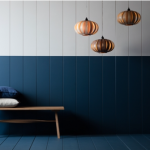 They believe careful craftsmanship, a passionate attention to detail & the use of good honest design, goes into creating much of the satisfying pleasure that is derived from living with & using beautifully made objects & furniture that is built to last. 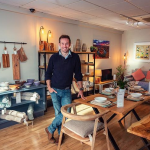 Peter, Gil and their gang also have a fantastic showroom where you can see their skills for yourself, both in the furniture on sale and in the re-built timber frame barn and buildings they call home. Visiting is a must if you’re passing, otherwise browse their website to find out more about them. P.S. A date for your diary – West’s of East Dean are having a Wood Fair on 21st & 22nd of June 2014… everyone’s welcome! 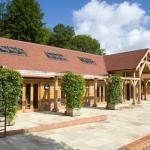 Greenman Carpentry Company are experienced green Oak timber framers & restorers with work on display at Singleton’s Weald & Dowland Museum and the Goodwood Sculture Park. 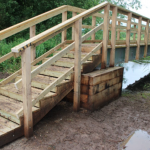 If you’re looking for a dedicated heavy timber framing company with ecobuilding experience and a progressive attitude to design & development then Greenman Carpentry Co are a shoe in. Stephen Anthony Design was established in 2002. Their strong company ethos is based on a commitment to customer service. 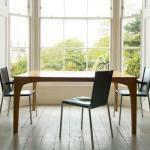 Their aim is to make the best quality, fine furniture possible whilst delivering value for money. All their work is done in-house using the highest quality materials they can source (ahem.. our wood!) and to their own high specifications. This includes everything from the designing & the cabinetmaking right through to the final installation and insitu decoration. If you have a project and you like their work get in touch using the contact details below and they’ll be glad to talk to you about your project. Want to see what they make and how they make it? (like that gorgeous grey painted kitchen in the pic below!) 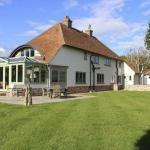 Visit Stephen Anthony Design offices & workshops, located just off the A27 between Havant and Emsworth in Hampshire. P.S. Surrey, West Sussex & South London are all less than an hours drive! Steve & his team are serious about timber framing. To them frame making is for life and the frame is a beloved thing to be crafted and treasured. We’ve noticed that these guys don’t stop at timber frames either… we’ve seen doors and mantels and furniture sneak through their wonderful workshop (nice flag huh? he’s not called ‘american Steve’ for nothing!) on a regular basis. We get the feeling New England Framing don’t spend much time infront of the TV! Why not put them to work on your next project?! 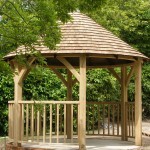 “Our company deals exclusively with English Woodlands Timber. This is because of their prompt service in costings, the quality of the material supplied and their professional attitude towards their clients. 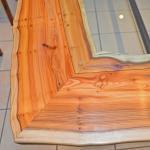 Simon comes from a line of professional woodworkers and it seems he fell hook, line and sinker for woodworking himself. Starting out with furniture studies, that led him to the Edward Barnsley Workshop as an apprentice, and there he deepened his skills and knowledge, to such an extent he was awarded a Guild Mark from the Worshipful Company of Furniture Makers not once, but twice! 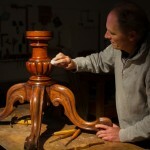 Simon’s work epitomises the term ‘fine furniture’ and if you have a yearning for a special piece as an heirloom or want to enhance your property with some fine cabinetry then do get in touch, he’ll be happy to hear from you. Or better still, make an appointment to see Simon at his workshop and see his work for yourself. Creative Heritage are a forward thinking framing company using traditional craftsmanship, incorporating modern methods and materials to achieve excellence in their buildings. 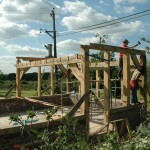 They are equally enthusiastic about work on new build or conservation projects and as is typical of Green Oak Framers, they live for their work! 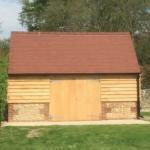 Ascot Timber Buildings are a leading timber building manufacturer specialising in timber framed & clad buildings for stables, garages, schools, business, home, housing and retail. 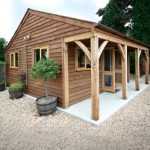 They operate their own workshop, equipped to manufacture anything from bespoke garden rooms for private clients to heavy timber frame structures for the construction industry. 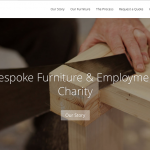 Nathan Ramsden and his team have built an enviable reputation for supplying high quality bespoke furniture & interior joinery, priding themselves in their personalised service and professional approach. 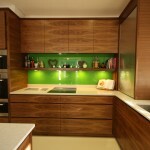 We love the serene quality of these exquisite bespoke kitchens and the furniture made to go in them. 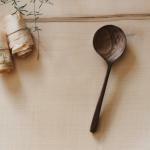 Simple, subtle colours with highlights of natural, raw wood. We know Jasper has a penchant for the English hardwoods and he’s very good at selecting special boards of Oak or Elm or Ash depending on the project he’s working on and taking them away to make the fabulous worktops to match each kitchen. 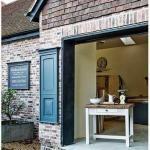 Jasper and the team at Middleton Bespoke have a showroon at their workshops in West Grinstead, within easy reach of Brighton, Surrey & London. Visit the showroom Mon – Fri 9am-5pm or Sat 9am-1pm or get in touch with Jasper & team to make an appoinment. John Lloyd is a long standing customer of ours, and as such we have a little bit of an insight into what he does with wood. 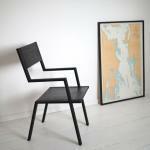 John is highly esteemed in his industry, with a style and a range of beautiful furniture of his own. 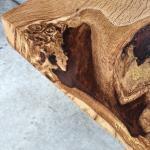 In addition to the new pieces he is commissioned to make, he’s a very well known furniture restorer. Sought after by national institutions and private individuals alike, commissioned to work on priceless antiques and treasures. His day to day work includes tuition at his workshops on Ditchling Common in East Sussex where he takes small groups of private students for intensive and long term furniture making courses where he gladly passes what he knows to those who are keen to learn. It’s both reassuring and refreshing that John’s teaching ethos is built on traditional, hands-on skill whilst embracing innovation and new technology. This makes for an exciting and thorough foundation to build a new career and craft on. We’re quite jealous! You don’t have to be one of his students to get the benefit of John’s knowledge and enthusiasm though. He’s generous enough to share his knowledge and experience on wood, woodworking & design in his many writings on the subject too. 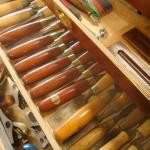 You can find John’s articles in British Woodworking magazine and Furniture & Cabinetmaking magazine. 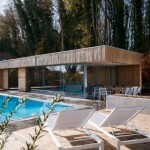 If you are looking for a spacious, modern feel for your new build, extension or renovation with a hint of the International Style then this buzzing Hampshire practice is worth a call.. and what’s more they love to use wood! 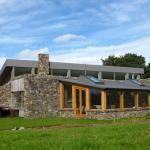 Picture: Bluebell Poolhouse as featured in Grand Designs magazine July 2013. 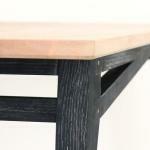 ” The project I had lined up was a small occasional table which required waney edged quarter sawn Oak. I had tried so many places to find the Oak and had only located it with one company … who could deliver but the cost was far beyond what I was willing to pay. I remember that another cabinetmaker had mentioned that he had gone to you for the same timber so I gave you a call. You were half the price of the other company and as I didn’t need long lengths I could easily drive and collect the timber myself. After a drive through some of the most beautiful countryside, I was directed to the warehouse (so well organised and stocked it was a pleasure) where I met two chaps who were fantastic and helpful beyond my expectation, I hand picked and purchased two planks of Oak and one plank of American Black Walnut which were all cut to length to fit in my car. I couldn’t be more pleased. 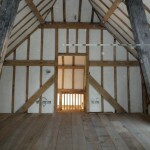 Stephen Spooner is a specialist in architectural joinery, restoration works, woodcarving craftsmanship and furniture making. He’s worked on many prestigious and demanding projects, not least of all refurbishments at Arundel Castle and Hampton Court Palace after the 1986 fire. We know Stephen as a highly skilled craftsman with a level of work and a breadth of knowledge that’s hard to match. He’s a consummate professional, an absolute perfectionist and yet he’s not one to sit on his laurels. We’ve always loved his enthusiasm for new and challenging projects and it’s always exciting to hear what he’s working on next. If you have need of one of the many skills and crafts available at SA Spooner contact Stephen on the details below and make an appointment to go and visit. 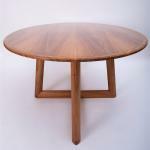 Stephen Spooner is a Fellow of the Institute of Carpenters and a member of The Sussex Guild.